Here in the West, stress, fatigue, depression, anxiety and ailments of the nervous system are all too common. The mainstream approach to pain relief has typically been prescription drugs, but where medication fails, sometimes it takes looking to the other side of the world to complete the other half of the picture. If our lifestyles of the West cause stress, perhaps lifestyles of the East may help decrease it. Indeed, Eastern cultures approach health holistically, rather than symptomatically, and Eastern medicine, at its core, aims to rebalance energies in the body. Tai chi chuan and bagua zhang are two complementary forms of Chinese kung fu based martial arts that use gentle, intentional movements to strengthen muscles, joints and mental focus, while increasing flexibility, improving speed and restoring balance. These forms of martial arts exercise the mind, body and spirit to strengthen overall wellbeing and heal imbalances in the body. Tai Chi is a Chinese philosophical and spiritual practice of martial arts that uses slow, controlled movements to balance life energy, also called chi. Tai chi is more internal than external, and may look unfamiliar to a Western point of view. Though barely moving, a lot can be happening on the inside. Developing awareness and mastery of the Chinese concept of yin, or the passive, female quality, is the main aim of tai chi. Yin should not be interpreted as negative, because in developing yin, the student builds a deep, hidden power that is not readily apparent on the surface, but can be exhibited at will. The movements of tai chi are slow in order to increase physical control, and in time, build to a point of great speed and power. Often, the tai chi master may look as if he has no bones because his movements are so fluid. The practice generally requires a large space because the fine, controlled movements often include walking and turning. Tai chi challenges inner development, promotes relaxation, and stresses moderation above all else. Tai chi is gentle on the joints, so anyone at any age can begin a restorative practice. Practitioners of tai chi aim to operate at 70-80% of the body’s full capacity, which gives the muscles and joints the ability to strengthen without injury. Over time, the 70-80% threshold will start to increase as flexibility and strength are acquired, but tai chi never asks you to overreach your limitations. In this way, it is an excellent tool for learning the art of productive relaxation, moving meditation or even to aid in recovery from serious injuries. Tai chi is great for people who would benefit from slowing down, who overwork themselves or who want to reduce anger and agitation in their lives. Tai chi has also been shown to help those with physiological issues such as Parkinson’s disease, vestibular damage and general kinesthetic imbalance. Tai chi helps to improve proper postural alignment in a dynamic, continually changing environment while at the same time help on to regain a sense of body awareness in space. Bagua is the yang to the yin of tai chi. They are complementary practices, so while tai chi uses slow, controlled movements to promote inner calm, bagua aims to develop the active, masculine, or yang, elements of life energy by directing energy outward. The movements are still finely controlled, but they tend to be faster and larger. Balance, meditation and strength are also key elements to the practice, but the exercise tends to require more exertion and a generally healthy starting point. Bagua may resemble tai chi at times, using slow motion to master a move, but the foundation of the practice is a quicker style that helps increase resilience to quickly changing external factors. Tai chi uses the water element while bagua incorporates fire. Like tai chi, bagua asks only 70-80% of the student’s full physical capacity, but because of the more active style of movement, people over 70 years old should probably not start a practice, unless they have been practicing other forms of martial arts for many years and are very healthy. Otherwise, anyone in generally good health can start bagua at any time. Bagua is excellent for people who tend toward fatigue, depression or low energy because it seeks to build activation of chi. Bagua challenges the student to respond quickly and redirect energy appropriately, rather than getting stuck in one way of being. While tai chi helps calm and relax with strength, bagua helps open and energize with fluidity. While bagua is great exercise for anyone, it’s especially helpful for people with a slow or passive manner who want to start channeling their energy into a more active pursuit of goals. 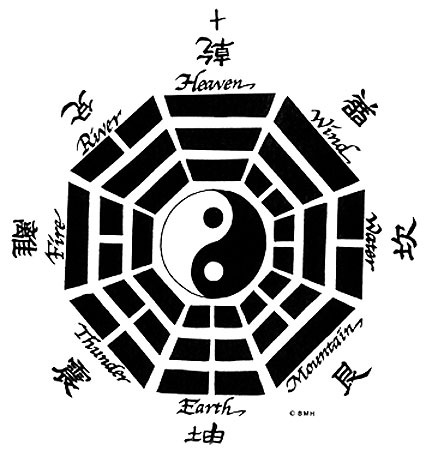 Bagua is practiced in a circular structure, moving around the I Ching circle which adds another layer of balance control and spatial awareness. Whereas most tai chi forms move in a linear, forward and backward like movement, bagua moves in curved space. The tai chi and baqua forms that are taught at Agilis Fitness have elements of both styles in a “bagua-style tai chi”. Meaning, the tai chi forms have a few movements of bagua style kung fu in the forms and the bagua form moves in slower, more meditative style of tai chi. All the forms bring about the benefits listed below.